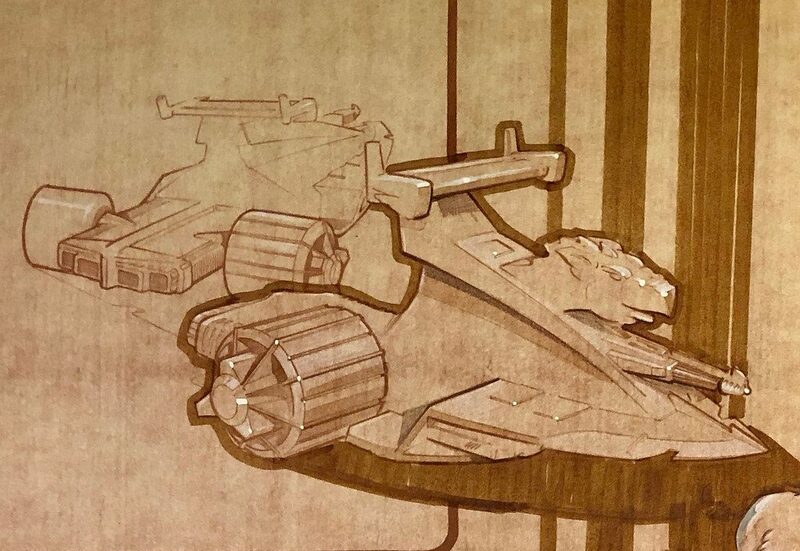 Former Mattel designer Ted Mayer shared some Battle Ram concept art with me that he recently rediscovered in his portfolio. I previously had lower resolution copies of this art (one from my 2015 interview with Ted, and another from an issue of Tomart’s Action Figure Digest), showcased in my article about the Battle Ram. I’ve updated that article with these better images, but I thought I’d announce the new images here and share a few insights from Ted. 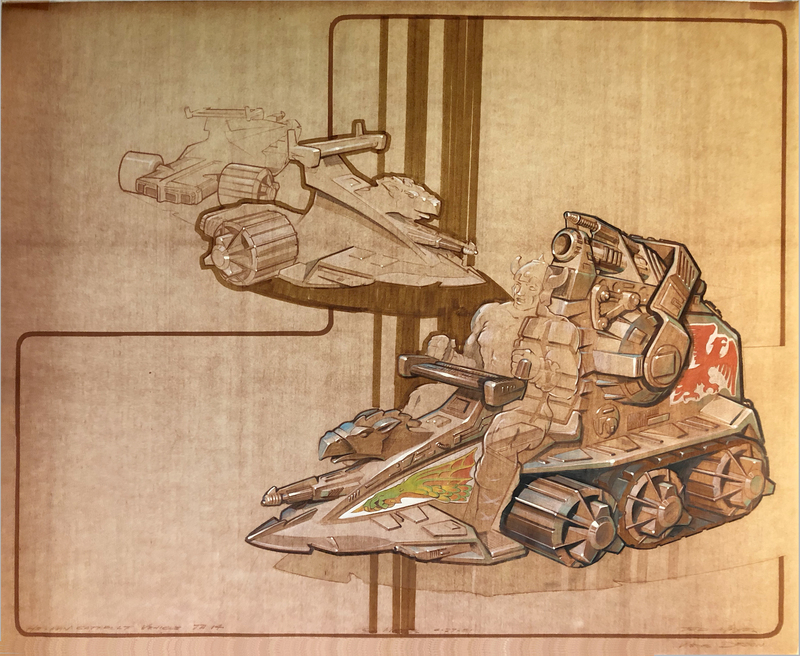 The first piece of concept art below, was, according to Ted, the original concept. On the second revised version below, Ted says, he was “asked to clean it up and change it for molding, cost, and safety considerations.” Both of them date to late April, 1981. 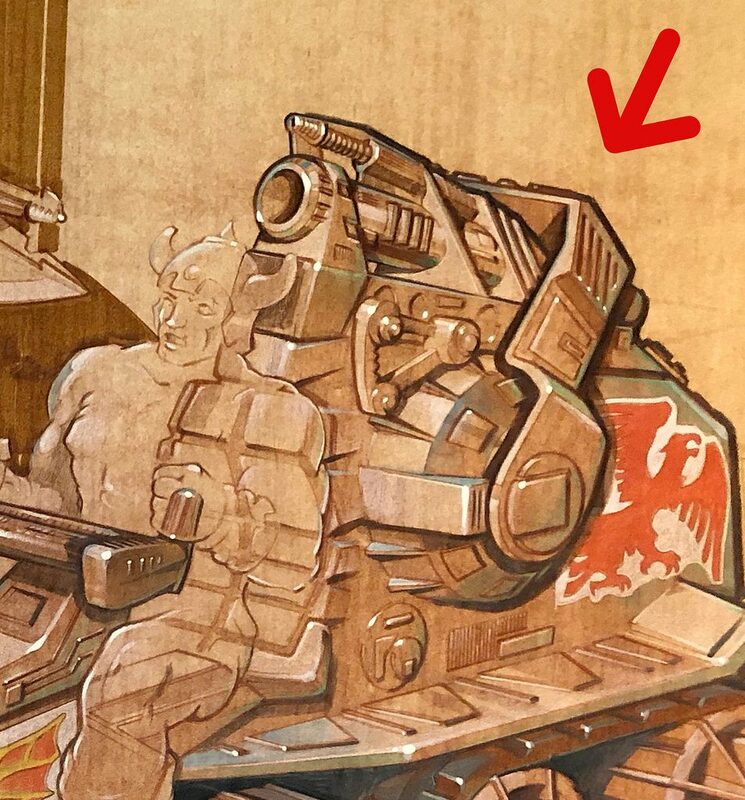 Q: On the earlier version, there is an extra piece on the top/back section of the vehicle. Would that have been the firing mechanism? A: Yes, I figured it would be a pull back and release, to shoot the missile. Q: Very interesting that originally the front half of the vehicle had wheels as well. Would there have been an extra small wheel underneath toward the front, for balance? A: Yes, we wanted it to be a totally independent vehicle. That’s why the original battle Ram had six wheels. cost cutting won out!! 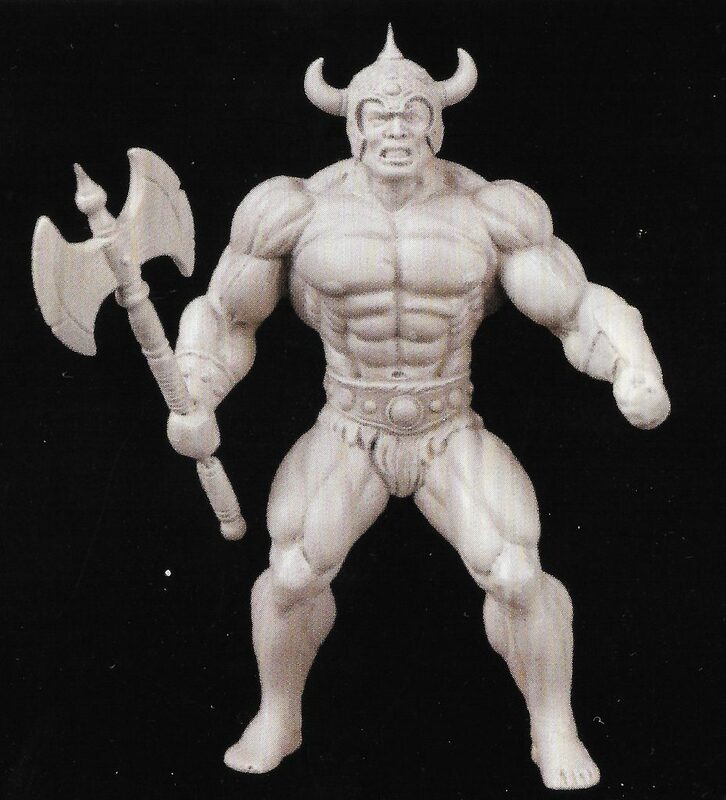 Q: The horned helmet version of He-Man has always been shown barefooted, at least in the prototype models that I’ve seen. In your drawings he does have boots. Just curious, was he originally supposed to have removable cloth boots or something along those lines? 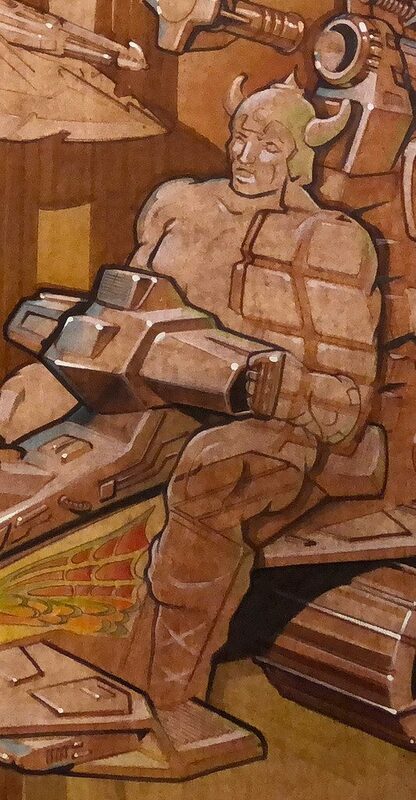 A: As I remember, I drew the figure from an original sculpt, so it must have had boots on! Many thanks to Ted for sharing his amazing artwork, and for answering my questions! I love those sketches. I wish I knew what he used on them. I used to think it was pencils and/or charcoal with a little bit of paint but now I’m thinking it’s all paint. the method I used was do a line drawing on Vellum. and Get a ‘brownline’ print. This was like a blueprint but brown. I got it overexposed to give it a dark background.Then went in with Magic Markers and Prismacolor pencils and gauche. This was a technique used in the Detroit car studios that dates back to the 1940’s. Very nice to get a better look at this art! We badly need a big coffee table book devoted solely to MOTU concept art. I never get tired of looking at this stuff! Thanks for the clarification! 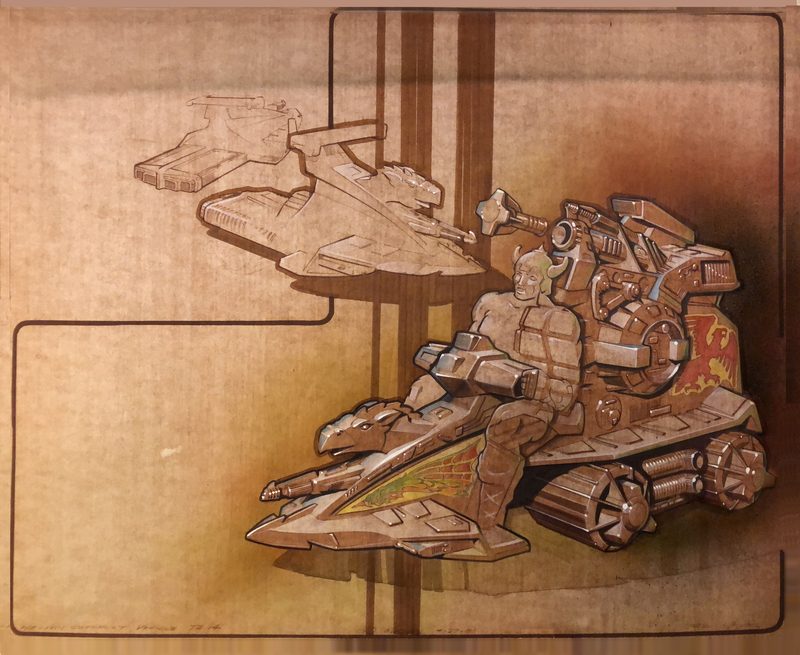 I don’t know how I missed the marker texture on the darker background spots and strokes around the vehicles. I’ve never used vellum before but maybe I’ll give it a try, the results are wonderful.